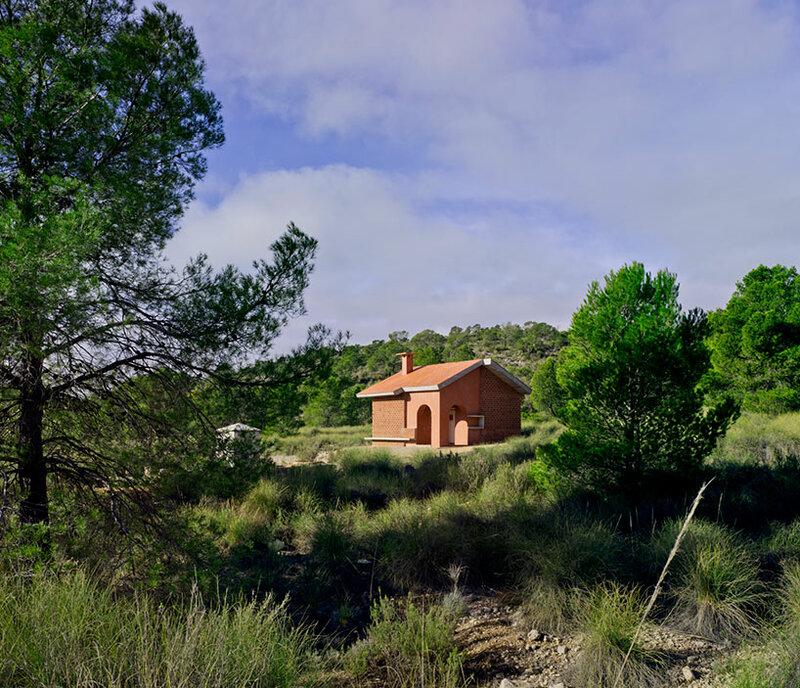 architect martin lejarraga has restored a small shelter in spain, which has been used by excursionists, hunters, and mountaineers for several decades. 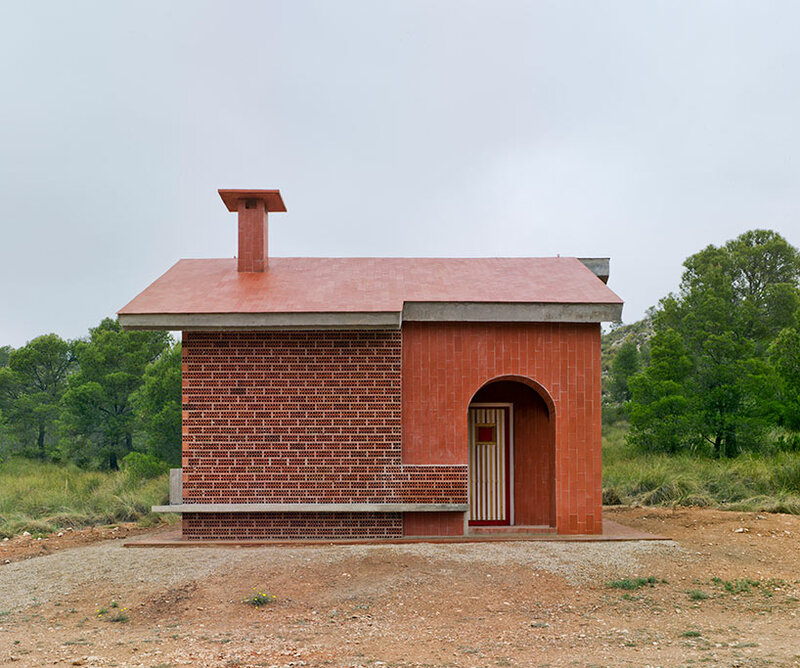 titled ‘la casa del ángel’, the refuge is located in a rural area of southeastern spain known as la sierra de jumilla. 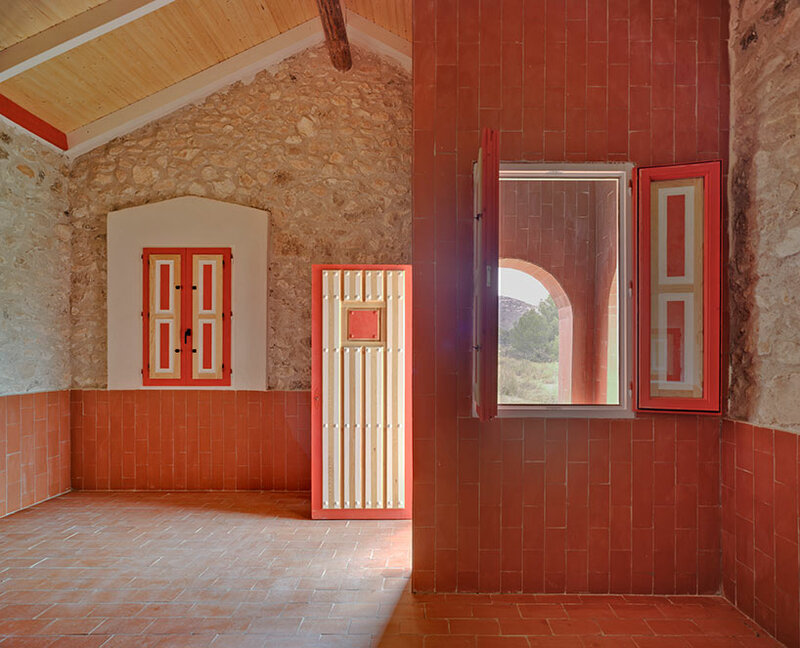 ‘due to its relevance on its context, geographical as much as social, the refurbishment could not only be an architectonic action but also a landscape one,’ explains the architect. 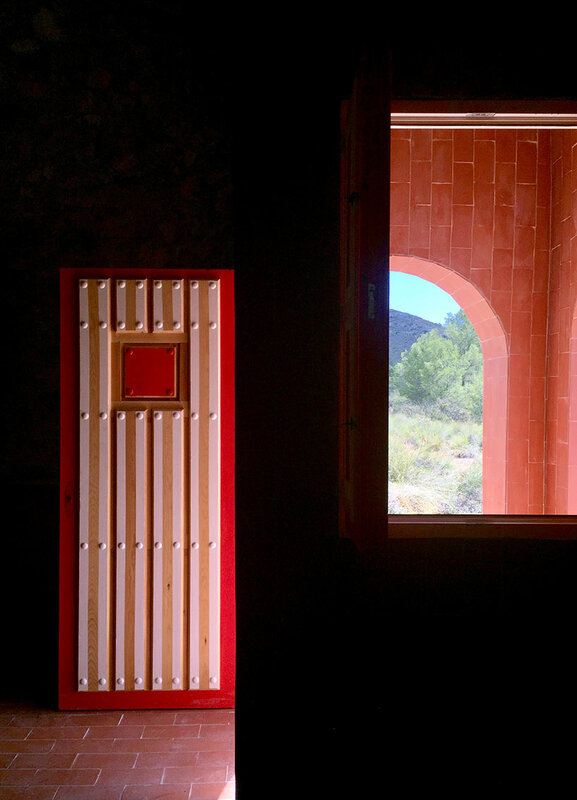 martin lejarraga began by reinforcing the structure. 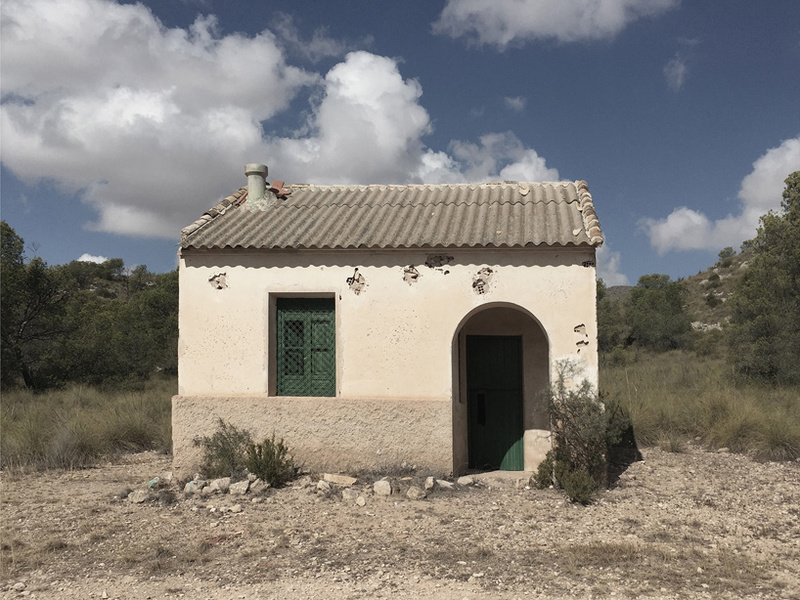 firstly by replacing the original corrugated metal canopy with a concrete roof, before ensuring that the building was both thermally and acoustically insulated. 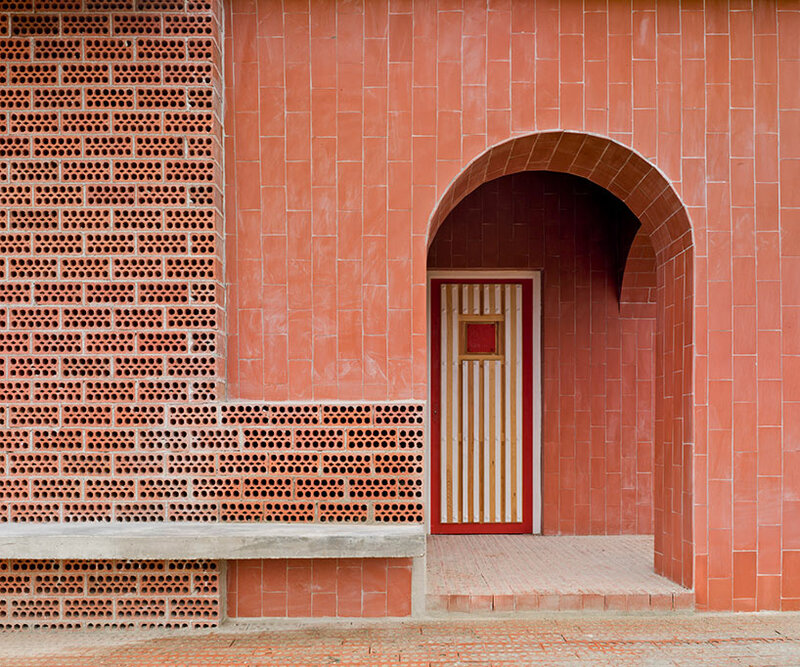 the walls have been clad with an assortment of red bricks that contrast the greenery of the surrounding landscape. 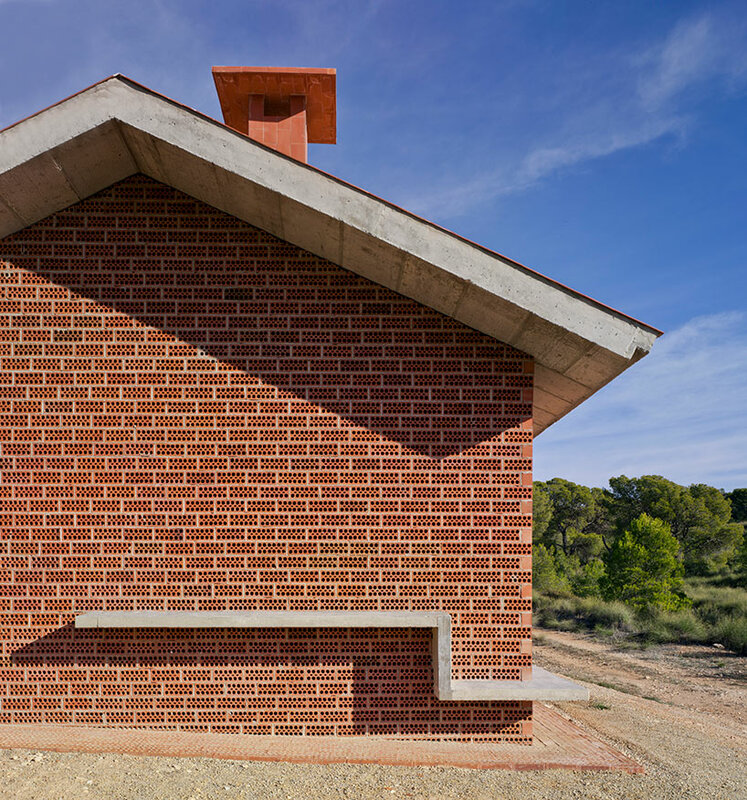 it is hoped that, over time, the structure will not only serve as a refuge for humans, but also for plants, insects, and birds. 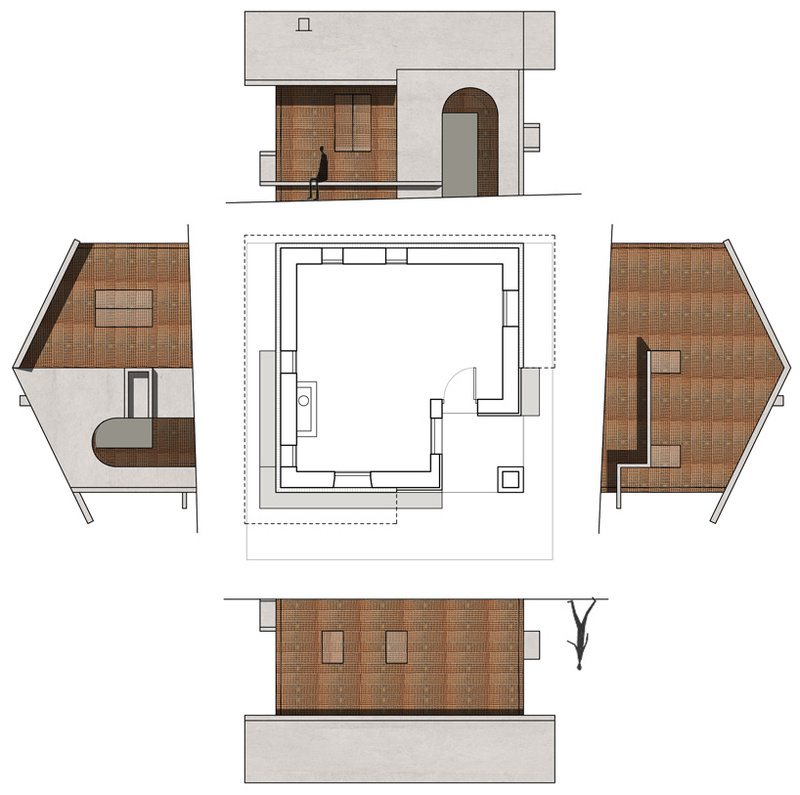 internally, the hut, which measures just 38 square meters (409 sqf), is one open space that provides hikers with a place to rest and relax. 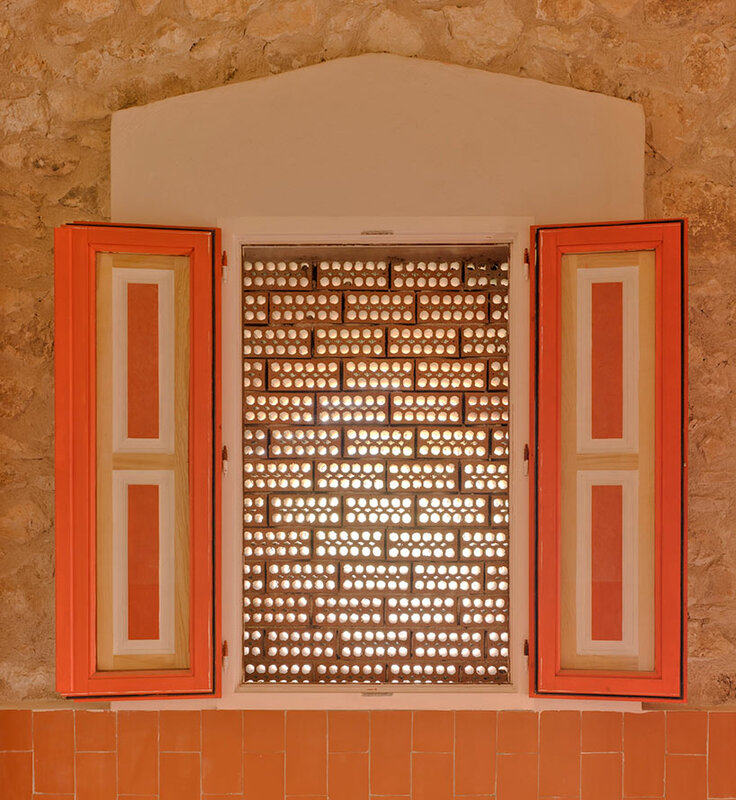 meanwhile, the wood used for the building’s windows and doors complements the warm materials and tones used for the project’s exterior. 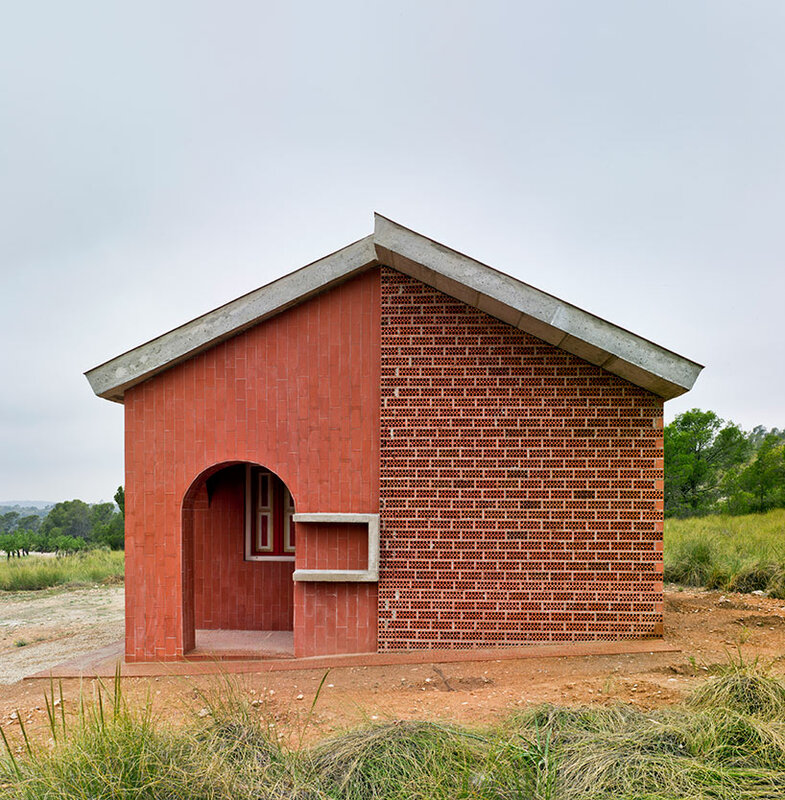 a concrete bench wraps around the enclosure, providing an outdoor place where weary wanderers can rest their feet.